As the UFC embarks on a return to Calgary, Alberta, Canada this weekend, one of the most highly anticipated fights of the entire year is set for the main event as former champion Eddie Alvarez takes on Dustin Poirier. The two lightweights met just over a year ago with the fight ending in a no contest. 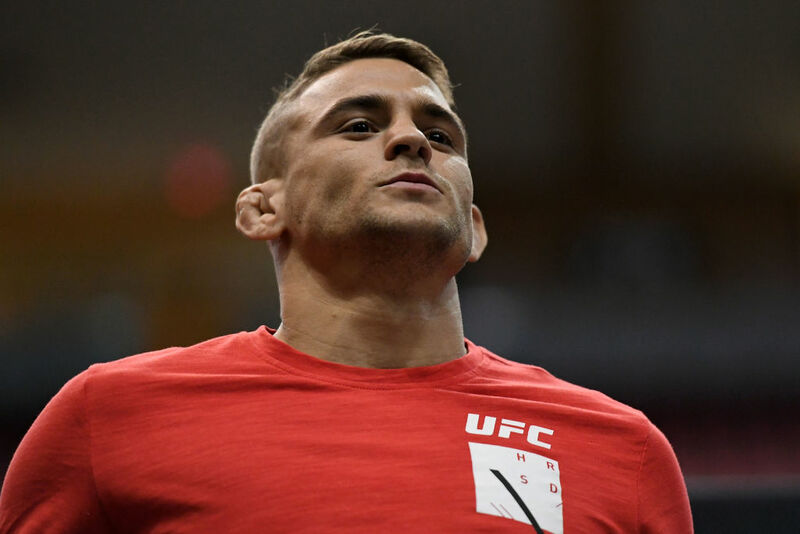 Now Alvarez and Poirier will look to settle the score once and for all when they meet on Saturday night, with the winner almost assuredly taking a decided step towards title contention. Also on the card, former featherweight champion Jose Aldo will look to bounce back from a pair of losses to Max Holloway when he meets hard-hitting 145-pound contender Jeremy Stephens. 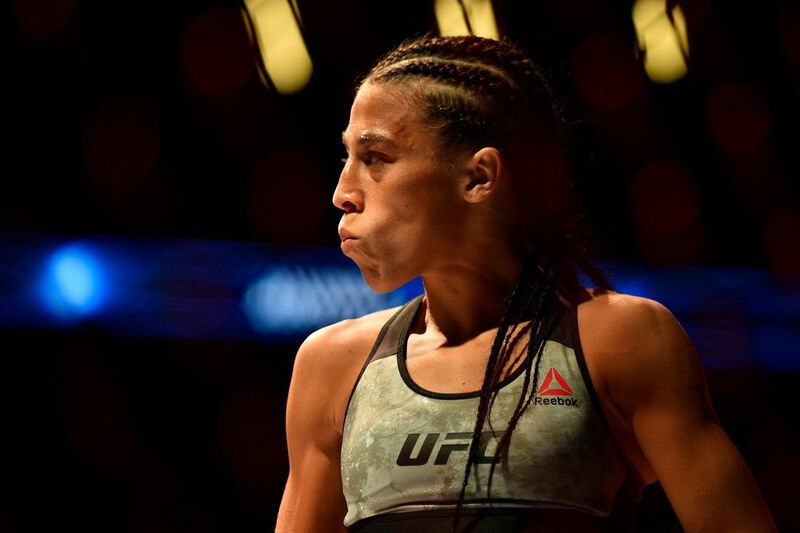 Former women's strawweight champion Joanna Jedrzejczyk will also look to get back into the win column when she faces Tecia Torres on the main card. In today's fantasy preview, we'll examine these fights and several more to see who has the edge and who might just be primed for an upset at UFC Fight Night: Alvarez vs. Poirier. In what is almost a guaranteed barnburner, Eddie Alvarez and Dustin Poirier will clash again after their first fight ended in a disappointing no contest. That matchup saw Poirier come out like a ball of fire as he lit Alvarez up with punches throughout the opening round, nearly getting the finish on a couple occasions. Alvarez then found a way to mount a comeback in the second round and put Poirier on the ropes until he unleashed a pair of illegal knee strikes that ultimately stopped the contest. Now the lightweight contenders will do it all over again with hopes of a definitive ending this time around. For Poirier, he doesn't have to change much from the first fight with the exception of not allowing Alvarez to pull him into a brawl. Poirier only got into trouble the last time around when he was a little overzealous with his combinations after hurting Alvarez and then not playing defense enough to stave off the bombs being thrown back at him. Alvarez has a concrete chin so he can take a lot of damage and still wind up for a haymaker that can put anybody down and out. Poirier has never been a masterful defensive fighter, but he's gotten much better in recent fights. In fact, Poirier showed off his ability to face a brawler yet not allow himself to get pulled into that kind of fight when he faced Justin Gaethje a few months ago. Poirier was precise with his combinations and he never overexerted himself in the attempt to finish the fight. As for Alvarez, he has to show more head movement and footwork to stop Poirier from teeing off on him during those first few exchanges. Alvarez absorbs almost a significant strike more per minute than Poirier, which means he can certainly take a punch but often he takes too many. Alvarez has to stay away from Poirier's range and power, which gave him problems the last time around. In response, Alvarez has to pressure Poirier and never give him an inch to breathe. Alvarez is best when he's the one pressing the pace and Poirier doesn't like being forced to fight off his back foot. If Alvarez can turn up the heat and make Poirier back up while throwing his punches, the former lightweight champion has a great chance to make him pay over the course of five rounds. On the flipside, if Poirier can fight the same way he's done against Gaethje and Anthony Pettis in consecutive fights, where he showed power and patience in equal doses, he can pick Alvarez apart from the outside before finally going for the kill. Poirier's ability to stick to his strategy will be his biggest attribute in this fight and if he does it, he should be able to do enough damage over five rounds to earn a win over Alvarez. Former champion Jose Aldo has fallen on hard times lately with two consecutive losses to current featherweight king Max Holloway, and he's got another tough task ahead of him this weekend as he faces Jeremy Stephens on the main card. Stephens has been on a tear lately, with a slew of jaw-dropping knockouts, including finishes over both Dooho Choi and Josh Emmett. Stephens has always been a ferocious knockout artist, but lately he really seems to believe in himself with the kind of power and creativity he's been using to dish out punishment to his opponents. Stephens is more than just a one-punch knockout artist now as he's really started to develop a full arsenal of weapons to hurt opponents from the first second until the last. One of the biggest criticisms of Stephens over the years has been his reliance on the one big shot that would end the fight. Now Stephens is putting together nasty striking combinations that could end with a hellish uppercut just as easily as he might uncork a huge flying knee if that's what will get him the win. Meanwhile, Aldo still has plenty of fight left in him, but if he wants to win this matchup, he's going to have to set the tone early and then never take his foot off the gas pedal. Aldo is masterful with his ability to chop down an opponent from the foundation on up. Aldo's leg kicks have battered and broken more than a few fighters over the years and that's got to be a primary weapon against somebody as powerful as Stephens. Aldo using those vicious leg kicks to take away some of Stephens' immense power will pay huge dividends as the fight moves forward. Aldo is also the better, crisper striker overall, with a technical skill set that's not easy to match. Aldo has to show off that striking acumen to do a lot of damage over three rounds to earn the win. Aldo can ill afford to allow Stephens' confidence to swell if he walks through some early punches or find a way to avoid those leg kicks. As for Stephens, he just has to continue doing what he's done lately. Stephens has to stick and move to force the action and then unleash his fight finishing power when the time is right. Stephens is so explosive that it will only take one shot to finish the fight, but it's more likely he'll do a lot of damage first before putting Aldo away. Maybe Aldo's time has passed and Stephens is finally ready to compete for UFC gold. Then again, Aldo is a legend and he's never going to shy away from a good fight. That said, Aldo being knocked out in two straight fights is a hard pill to swallow but it's even tougher when the next fight comes against a legitimate knockout artist who only needs one glancing shot to separate the Brazilian from consciousness. A pair of lightweights hoping to make waves in the division will meet in the fight that will kick off the main card, as upstart contender Alexander Hernandez takes on Canada's own Olivier Aubin-Mercier. Hernandez made quite the splash in his UFC debut when he took out veteran lightweight Beneil Dariush with a devastating first-round knockout. Hernandez seemed primed for the big show in his debut but now he's no longer slipping under the radar as he prepares for his second matchup. In terms of skills, Hernandez is definitely no flash in the pan because he absolutely deserved a spot on the UFC roster, so it was only a matter of time before he got there. Now that he's arrived, Hernandez wants to prove that his first win was no fluke. As far as this matchup goes, Hernandez would be smart to use that same fight finishing power from his debut in this showdown with Aubin-Mercier. Hernandez not only hits with power but he does so with blistering combinations that come in rapid-fire succession. That has to be his primary weapon going into this fight. The Canadian standout has worked tirelessly on adding new elements to his arsenal as witnessed by his lightning-quick TKO against veteran lightweight Evan Dunham in his last outing. That said, Aubin-Mercier is a monster on top and that's why he'll likely ground Hernandez's striking attack by using his versatile grappling game. Aubin-Mercier averages over three takedowns per fights and he'll likely look to use that wrestling attack to stall Hernandez's attempts at the knockout. Over the course of three rounds, Aubin-Mercier's stifling ground attack can end in a demoralizing defeat for his opponents and that's why he's such a tough matchup in this division. And the scariest thing of all is that Aubin-Mercier is still getting better. Former women's strawweight champion Joanna Jedrzejcyzk is back in action as she competes in her first non-title fight since 2014. Welcoming Jedrzejcyk to Canada will be fellow 115-pound contender Tecia Torres, who looks to get a win following a tough outing against Jessica Andrade in her last fight. Torres is a karate stylist, which means she's very good at lightning quick combinations that come at her opponents with blinding speed. Torres has also shown off good takedown defense, as well as the ability to scramble out of a bad position if she gets locked there. This time around, however, it's not likely that Torres will find time to display her full arsenal of weaponry when going up against someone as prolific as Jedrzejczyk. Jedrzejczyk will employ a massive height and reach advantage in this fight and she'll likely use both to keep Torres at a distance. Look for Jedrzejczyk to establish her straight punches and kicks to set the range early before she really starts looking for that fight-ending combination. Jedrzejczyk has the edge in striking and experience, not to mention that champion's mindset that she always carries around in her back pocket. Look for Jedrzejczyk to shine over three rounds before either getting a late stoppage or a unanimous decision victory. In a fight between two streaking lightweights, Islam Makhachev faces off with former Ultimate Fighter competitor Kajan Johnson in a prelim bout. 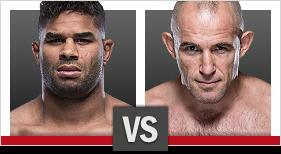 Johnson has looked better than ever in his past few contests, including a stunning knockout against Adriano Martins. 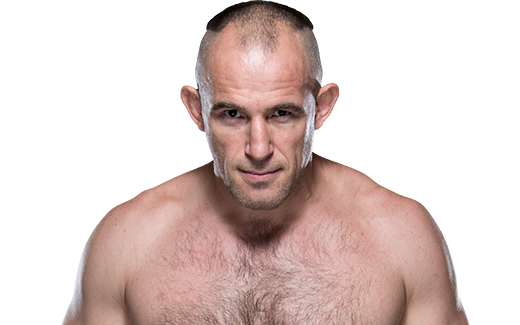 Johnson has shown off a very versatile arsenal both on the feet or on the ground, but it's going to be awfully hard to get started with a pitbull like Makhachev attached to him from the first second until the last. Makhachev is a relentless wrestler with incredible power in both hands, so he won't be afraid to test the waters with Johnson on the feet or on the ground if that's what it takes to get the job done. More likely is that Makhachev attacks Johnson with a powerful grappling game that might just be too much for the crafty veteran to handle over three rounds. Makhachev has long been touted as one of the next great Russian fighters and this might be another golden opportunity for him to prove it. As the light heavyweight division continues to welcome new talent like Anthony Smith and Dominic Reyes, another name to watch in 2018 is top 15-ranked fighter Gadzhimurad Antigulov. This weekend, Antigulov takes on veteran slugger Ion Cutelaba in a showdown at 205 pounds. 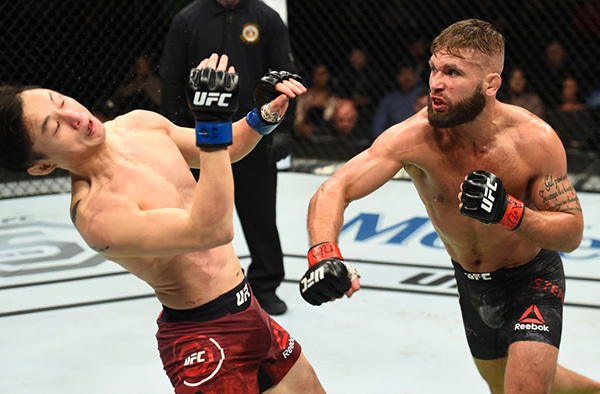 Antigulov has been riding an incredible wave since arriving in the UFC with two straight wins, both by submission, which moves his overall streak to 14 victories in a row. Perhaps an even more staggering statistic is the fact that Antigulov has finished all but one of those opponents while winning 14 straight fights. Now Cutelaba isn't going to just roll over and play dead so Antigulov can get another win because the Moldova native is a true knockout artist with dynamite in his hands. 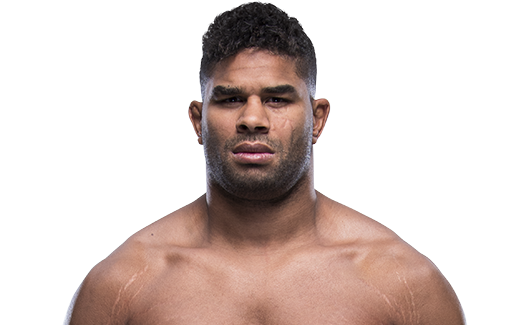 Cutelaba is coming off a stunning finish of his own but he's been out for over a year and he's stepping back into the Octagon with one of the true top talents emerging in the light heavyweight division. As long as Antigulov doesn't get drawn into a firefight with Cutelaba, he has a great chance to control the distance, decide when he wants to take the action to the ground and then begin applying his world-class grappling game. Antigulov is definitely somebody to watch as the light heavyweight division continues to search for its next great contender and this Russian wrecking machine might just be the one. While former UFC title challenger Alexis Davis has a higher ranking next to her name, it's New Jersey-based striker Katlyn Chookagian who will walk into their fight as the betting favorite. Chookagian has long been viewed as a potential contender at both bantamweight and flyweight, as she presents a difficult matchup thanks to good striking at a high output rate and an ability to never seem to slow down much over three rounds. Plus, Chookagian has shown off good grappling defense, which will definitely be a weapon she might want to use while facing an experienced grappler like Davis. Davis is a very difficult fighter to face when she's the one on top during a fight. Davis not only possesses world-class submission skills, but she's a suffocating fighter when she's in control on the mat. The last place Chookagian wants to end up in this fight is stuck on the bottom with Davis on top of her with more than four minutes left in a round. 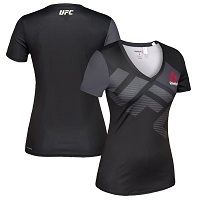 That kind of time will give an experienced grappler like Davis all she needs to systematically dismantle her opponent's defense while looking for a ground-and-pound attack coupled with a deadly submission arsenal. Now if this fight stays standing, Davis is no slouch there either, but Chookagian definitely has an advantage with her speed and volume output over three rounds. That said, Davis just needs a couple of takedowns and she may grind Chookagian into the mat or wrap up a fight-ending submission. When it comes to potential upsets on this card, Davis is a better pick than anybody else because she's got the experience and the skill set to give Chookagian some serious problems in this fight.